When Ella' s sister decides to reunite with their estranged mother, Ella goes along for the ride-- it' s always been the two Preston girls against the world. But Sanctuary Island, a tiny refuge for wild horses tucked off the Atlantic coast, is more inviting than she ever imagined. And it holds more than one last opportunity to repair their broken family-- if Ella can open her carefully guarded heart, there is also the chance for new beginnings. Grady Wilkes is a handyman who can fix anythingexcept the scars of his own past. When he accepts the task of showing Ella the simple beauties of the island that healed him, he discovers a deep sense of comfort he thought he' d lost. 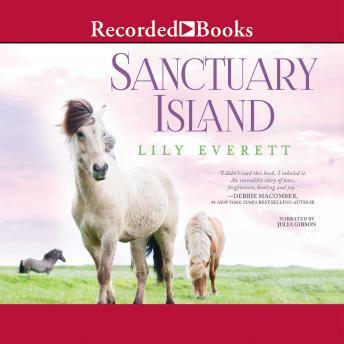 But now he must convince the woman who never intended to stay that on Sanctuary Island, anything is possible-- forgiving past mistakes, rediscovering the simple joys of life, and maybe even falling in love.